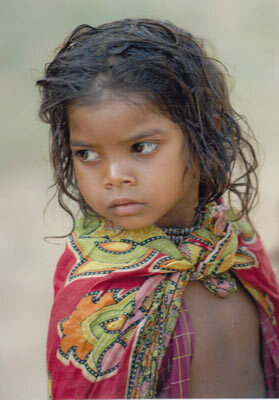 In Baiga and Gond Tribes you will find an openness and dignity so refreshing and pure, even when life treats them cruelly. They have magical qualities that relax, beguile and reward anyone who has the good sense to spend time in their calming company, and their humour can bring a smile to the lips of even the most tension filled of souls. The most fascinating gift these wonderful people have is their jungle instinct and ability to gently & voicelessly teach those of us who have been distanced from our planet, just how to balance our lives by simply spending more time closer to the only world that can ever truly support, protect and nurture us – the natural world. 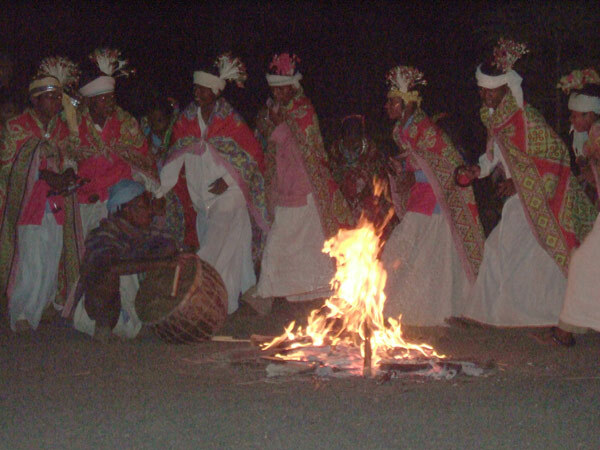 Baiga Tribesmen say that it was, is and always will be their Kartavya, (duty in this life), to live close to Mother Nature, protecting Her from destruction. They also say they never ploughed the Earth, because it would be like scratching the breast of their Mother, and how could they possibly ask Mother to produce food from the same patch of earth time and time again – she would have become weakened. 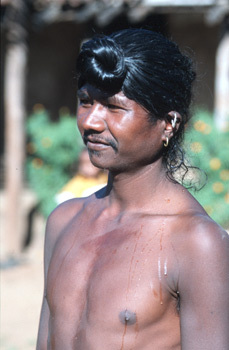 That’s why Baigas used to lived a semi-nomadic life, and practiced Bewar cultivation (slash & burn) – out of respect, not aggression.Baigas were able guardians of the natural world in years gone by, simply because most “civilized” people were fearful of entering the dense Central Sal jungles. They dreaded & feared the presence of 3 “Devils” – The Baiga, The Tiger and Malaria. Nowadays their former duties as joint protectors of the Maikal Hills green belt have been substantially curbed in favour of more modern processes. Minimum wages work is available, but being the free spirited souls they are, Baigas, especially, find it difficult to fit into the regimentation of modern “work” norms. However, there are still so many conservation techniques and skills we could still learn from the Baiga & Gond, if only we were respectful enough of their ancient skills and deep knowledge of these hills and took time to listen to their no nonsense approach to life on Mother Earth. We could actually learn so much from Baiga & Gond Tribes – if we had the time to spare. Please support Kanha’s Conservation Trusts efforts to strengthen the future welfare of our Tribal communities around Kanha National Park.